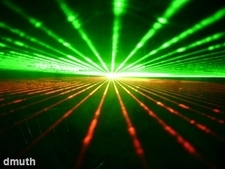 Laser system "benefits cataracts patients"
A new type of laser system has been shown to be beneficial during cataracts surgery, offering hope to the millions of people around the world who suffer from the eye problem. Global ophthalmic device company OptiMedica said that results from a clinical study of its Catalys Precision Laser System shows that it helped surgeons to achieve a significant improvement in precision during several critical steps of cataract surgery. Lead author Daniel Palanker, associate professor at the Department of Ophthalmology and Hansen Experimental Physics Laboratory at Stanford University, said the femtosecond laser with integrated Ocular Coherence Tomography imaging, advanced optics and control software can provide "multiple benefits". "We believe the new laser-assisted technique represents a significant scientific and clinical advancement that will make cataract surgery much more precise and reproducible," he noted. It comes after a report in a recent issue of Archives of Ophthalmology refuted claims that there is a link between dietary intake of vitamins E and C and the risk of cataracts.